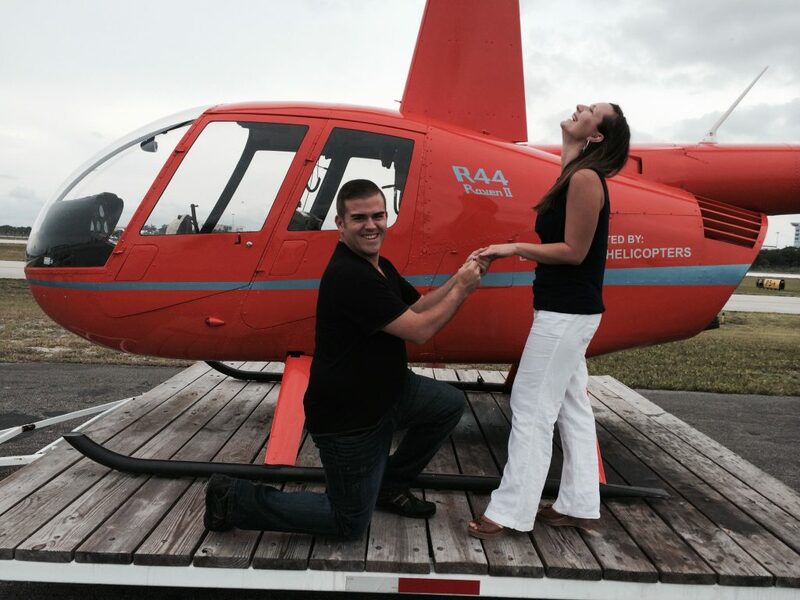 It’s not everyday one gets proposed to in a helicopter….but getting said helicopter proposal on video? Now THAT’S priceless footage for Amanda and Lawrence. See this Florida couple’s wedding journey so far and how they’re capturing every once-in-a-lifetime moment! How did you two meet? What did you first think of him? Three months later after a long work convention in Las Vegas, my co-worker/roommate convinced me to go to the Melting Pot for dinner so we wouldn’t have to cook. I was only swayed to go because they just released their new “American Night Out” menu featuring PB&J Chocolate fondue and Sam Adam’s Cheese. When we arrived at the Melting Pot, we were sat with the same cute waiter, Lawrence, who had to be the one to break the bad news- American Night Out wasn’t ready to be sold yet! Lawrence took care of us and we talked about such random things- and since there was no pressure- we essentially grilled him on his dating etiquette.He vaguely asked for a phone number before we left. (This story could have ended A LOT differently at this point….) I ended up leaving my number and Lawrence called a few days later and soon after went on our first date. Later that night, Lawrence asked if he could stop by my house real quick to drop something off. After some hesitation, I said okay. Just after midnight (and Lawrence’s shift), he dropped off some PB&J Chocolate fondue since I missed out on it a few weeks back! Fast forward two and a half years, Lawrence had me convinced we were going to Naples for the weekend (Florida not Italy!). Bags just about packed, house cleaned, dog sitter in place — I was ready to escape for the weekend. We went to lunch where we had our first date and even sat at “our” table. For a moment, I thought Lawrence was going to pop the question on the pier (where we first kissed) but it didn’t happen, so I completely put the thought of a proposal out of my head. All of our closest friends and family (including my parents who secretly flew in from New Jersey) were waiting back at our house for a surprise engagement party. 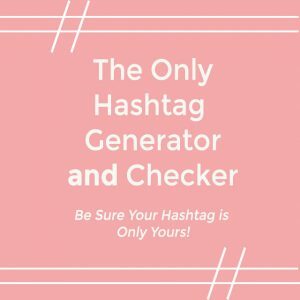 I was so surprised that just about EVERYONE was in on it and no one spilled the beans! Any fun DIY projects or pre-wedding parties (ie. bridal shower, bachelorette) coming up? My Bridal Shower just passed-which I was able to take great video of the ladies creating toilet paper wedding gowns- and cannot wait to include with our WeddingMix story. My bachelorette party is the weekend before our wedding- but I have no idea what is in store but definitely plan on capturing it! I am NOT a DIY’er- I always refer to myself as the “messy kid in art class” so the bathroom baskets, Welcome Bags and WeddingMix are the perfect amount of DIY for me and they don’t involve any hot glue or paint! What moments during your engagement do you want to remember forever? I’m going to remember the moment I realized he was proposing forever- it literally took my breath away. Time is flying and I want it to slow down a little bit (even though I cannot wait to marry my best friend!)! Doing our engagement photos was definitely a time to remember as well. It was extremely humid and hot (August in Florida at its finest!) but we made each other laugh the entire time so we wouldn’t focus on how uncomfortable we both were. I still laugh just thinking about it. I want to remember trying on dresses forever. I had such a good time with some of my best friends and I have so many pictures of that day. Our food and cake tasting is what I’m most looking forward to in this entire planning process. I’m also excited about the weeks leading up to our wedding when I anticipate life getting crazy and flying by. We are going away for my job just three weekends before and my bachelorette party is the weekend before and I’m sure there will be moments to keep. I just want to remember this entire year and every single detail of it. 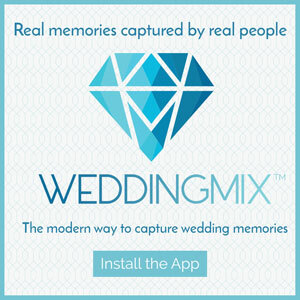 How is WeddingMix helping you capture those moments? Being able to take video from my iPhone and easily upload it is the easiest and best thing we could have at our fingertips. Sometimes in the midst of everything- you forget to stop and record some of the really special moments. I have included WeddingMix on our wedding website and will be sending out an email leading up to the event. I’ll also be printing the instructions to put in the frame with table numbers and in Welcome Bags for hotel guest- it’s going to be pretty hard to miss the WeddingMix presence at our events! Enjoy your engagement! 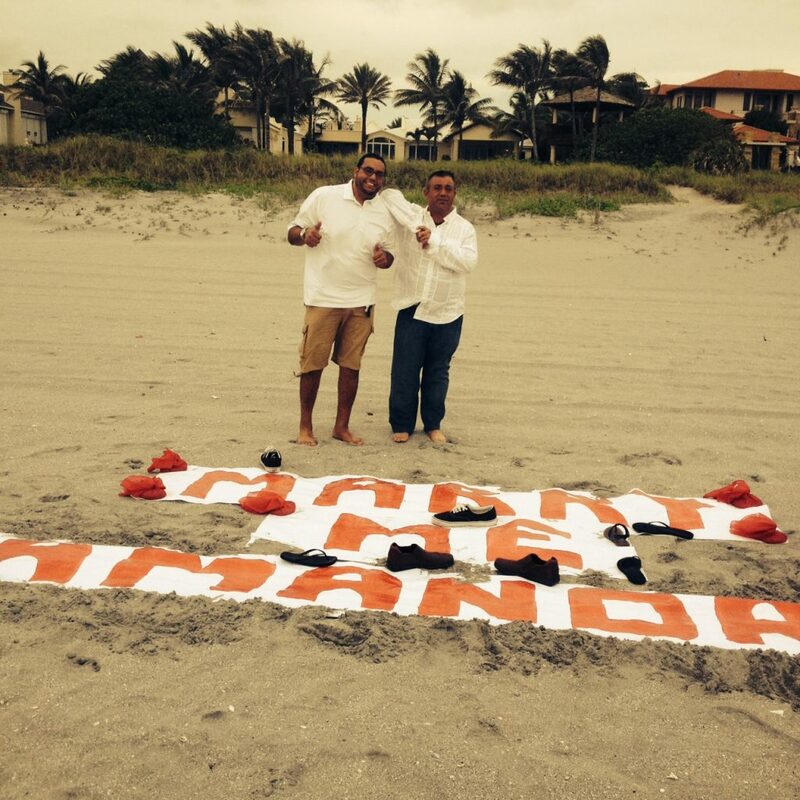 Planning a wedding is meant to be fun and exciting. If at any point it becomes a job- just stop and take a break for a few weeks. Also- once you find a venue you love or a dj or photographer you love and have a great feeling about and it’s in your budget- even if it’s the first one you have spoken to- just do it. You stopped looking for a man once you fell in love- apply the same principle to wedding planning. 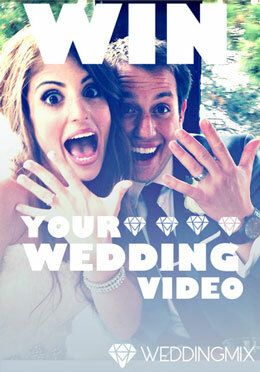 Oh and use WeddingMix for your wedding video! How else are you going to get ALL of the behind-the-scenes footage and view points? A videographer won’t appreciate your silly friends — but you will!